Designer and store owner, Oliver Smith has been making exceptional jewelry in Arizona since 1981. With exquisite designs, competitive pricing, and the highest quality of craftsmanship and ethical standards, Oliver creates jewelry to last a lifetime. President, designer, owner, and all around Big Cheese, Oliver Smith got his start in the jewelry industry after graduating from Lock Haven University with a BA in Economics. 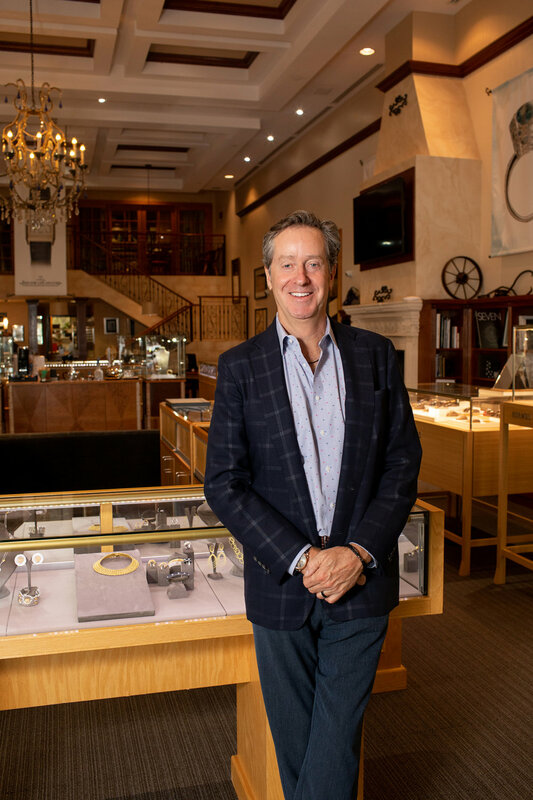 Originally from Worcester, Pennsylvania, this GIA graduate gemologist came out west 30 years ago to start his own jewelry business, and has been successful ever since. When not hard at work, Oliver enjoys being outdoors, playing golf, hiking, horseback riding, surfing, doing yoga, and barbecuing with his family. He also enjoys planning the future of OSJ, promoting the OSJ brand, and designing new pieces and collections. Stop by the store to check out his latest creations! Parisian expert on diamonds, jewelry and fine timepieces, Veronique is the expert on luxury. With two decades of experience selling jewelry and watches in Cannes, Paris, and now in Scottsdale, Veronique knows her product inside and out! Her classic style and eye for elegance makes her the perfect resource to help you find that new watch or great gift. Outside of work Veronique enjoys fine wine, cooking, stylish shoes, and spending time with her twin boys, and lovely daughter. A dog lover and Arizona native, Jodie loves anything creative. While finishing up her BS in Interior Design, she enjoys working on the Oliver Smith website, photographing jewelry, and spending time helping you find the perfect gift! With a great eye for style, she can help you select or design the perfect addition to your jewelry collection! Swiss trained watchmaker, talented amateur nature photographer, and detail oriented craftsman, Benjamin Lam will keep your watch running on time. Whether it's a simple battery change, or a complete case refinish and clean and overhaul, Ben can handle any job. WOSTEP trained, as well as a former watchmaking instructor, Ben has been working on fine timepieces for several decades. Ben can handle most repairs in house, saving you the trouble and aggravation of sending your watch back to the manufacturer. When not fixing watches, Ben enjoys spending time with his wife and two talented daughters, and capturing memories on film. George is a card-carrying watch enthusiast with a long history in the industry and is excited to share his love of fine timepieces both new and vintage with you. Originally from New Jersey, George chose the high road and settled in Arizona where he met his wife. Outside of the watch world George is a fan of cars, golfing and has 2 dogs that he loves to spoil. George is also enthusiastic about food and wine, and is happy to give recomendations for the best eateries in town. The newest member of the OSJ team, Ryan gained a love of luxury while working for Louis Vuitton before being lured to the world of watches at Tourneau. Since then he has become an avid watch enthusiast and collector. Be sure to let him share his passion for watch history and mechanics with you, or chat about the latest Vikings game. Aside from watches, Ryan is an avid collector of sneakers, and a gear head with eyes on the latest cars. When not at work he spends much of his time being athletic and is active in several sports and local teams, including a competitive dart league. A graduate of Arizona State University with a Bachelors of Fine Art with an emphasis in Metalsmithing, Nikki fell in love with the craftsmanship and old world techniques still kept alive in jewelry making. Also a lifelong lover of fashion, Nikki is always watching the latest trends and designers. When not making jewelry she is involved in a variety of creative hobbies, from painting to costuming, as well as trying to shove more clothing and shoes into her walk-in closet. A long time connoisseur of classic jewelry, Wanda understands and appreciates the craftsmanship and history of the extraordinary art in our estate acquired jewelry. She will apply her expertise to find the right piece for you to match your taste in fine traditional jewelry with your lifestyle. She has degrees in finance and administration from NAU and her hobbies include gardening and rescuing lost animals. Repair foreman, Panerai guru, and California native, Michael Ellsworth makes sure your jewelry is repaired with love and care. In addition to his responsibilities as an expert jeweler, Michael is the supreme authority on all things Panerai. Have a question about a Panerai watch? Ask Michael. Need a new Panerai strap? Ask Michael. Want a PAM 104? Ask Michael. When not brushing up on Panerai, Michael enjoys hunting, fishing, scuba diving, camping, and spending time with his wife and son. Also as a classic car aficionado, Michael helps coordinate our yearly Cars and Cigars Event in December. Hope to see you there! Repair and restoration technician, and graduate of the Revere Academy of Jewelry Arts, Steve Walker will make your broken jewelry work and look like it's brand new. A valuable asset in the shop, Steve also is great at answering and addressing all your repair questions and concerns. This Eugene, Oregon native is active in his church, and enjoys grilling, hiking, traveling. He also loves spending time with his wife, working on his house, and of course building and riding custom motorcycles! Master Jeweler and hot rod enthusiast Rodney has been working on jewelry since he was 15 years old. Whether he is repairing jewelry, or picking the perfect paint for his latest car build, Rodney has an amazing eye for detail and will make sure your jewelry is treaterd with the upmost care. When not working on the bench he enjoys spending time with his wife, son and two dogs Kona and Dezel. 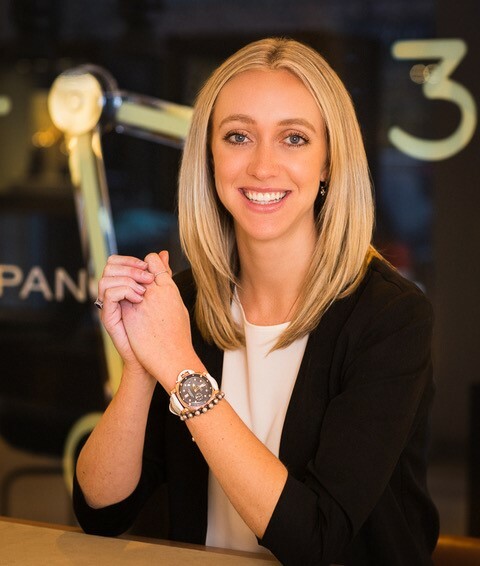 Born and raised in Scottsdale, AZ Oliver’s eldest daughter Elizabeth is the Boutique Director of the Panerai Aspen Boutique. She holds a degree in Business and Advertising from the University of Oregon. Prior to joining the family business she cut her teeth in San Francisco. While not working Elizabeth loves taking advantage of the amazing hiking and skiing in Aspen. Monika moved to Aspen in 2001 from a beautiful city located in the foothills of Transilvania, Romania. Upon coming to Aspen, she fell in love with the beauty that surrounded her and decided to call it home. She enjoys hiking, skiing, ceramics, and spending time with her family. Monika can often be found on her favorite hike up Ute Trail or working in her garden.